LA PAZ, Bolivia – “Being better men can eradicate abuse," said Marco Antonio Barrero, the mayor of Camargo, a small Andean town in Bolivia. Violence against women – one of the world’s most prevalent human rights violations – is a particularly acute problem in Bolivia. But a programme by UNFPA, local authorities, activists and young people is helping to change minds about the value of women and about what it means to be a man. 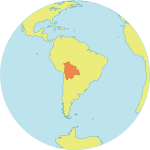 According to a 2013 study by the Pan American Health Organization and World Health Organization, Bolivia has one of South America’s highest rates of violence against women. According to 2010 information from the Vice-Ministry for Equal Opportunities, an estimated eight out of 10 Bolivian women have suffered some form of violence. Gender-based violence is often viewed as a women’s issue, yet entrenched ideas about masculinity play a major role in the problem. Evidence suggests that women face more violence in places where social norms embrace male toughness, dominance and control of women. For these reasons, UNFPA works not only with women, but also with men and boys, to address the norms that help perpetuate gender-based violence. In 2013, UNFPA began working with 150 young leaders – including leaders in marginalized, indigenous communities – to raise awareness of these issues. The youth leaders organize workshops, sometimes in schools, where adolescents and young men to talk about their own lives and ideas about masculinity. Over the course of these workshops, attendees discuss how the expectation that men be dominant and controlling can have negative effects on both women and men. Many adolescents who participate in these workshops are inspired to become involved in efforts to end gender-based violence in their own communities. "We are learning to be better men and to be better parents," said an 18 year old who participated in one of the sessions. “I never thought that being a man meant so much… truly thinking about what you do and how you respect women and men," he added. The programme also works closely with local authorities. “We will invest in sensitizing parents, teachers and police to understand the importance of this issue and we will invest in improving services for women who suffer violence,” Mayor Barrero told UNFPA. In the municipality of Viacha, for example, UNFPA is working with local authorities to build a shelter for survivors of gender-based violence in 2015. UNFPA also helped Viacha’s Municipal Comprehensive Legal Services expand and offer a range of assistance, including legal counselling for survivors. UNFPA is additionally supporting the expansion of psychological services for survivors of violence in the municipalities of Punata, Coroico, Camargo and Viacha. And preventive efforts are also underway. In the town of Tupiza, a school for parents is being implemented. Starting in 2015, the school will teach parents to discourage and refrain from violence. UNFPA also supports training for journalists, helping them better understand and report on gender equality and human rights issues. "Invest to prevent – that's the model we want to encourage in our town,” said Mayor Barrero.